Above: The view from the Dr. Pepper Platform at AT&T Stadium, where every seat is a suite. Above: Sunday night in the Rangers Hall of Fame room at the newly-named Globe Life Park, we sat front and center to listen in as Nolan Ryan (left) shared stories of playing and CEOing during his illustrious Major League Baseball career. Among the stories Nolan told was the infamous "Snow Monkeys" anecdote. If you haven't heard it, do yourself a favor and visit the guys over at Google.com when you get a chance. Below: During our private tour of American Airlines Center, inside the Dallas Mavericks' facilities on Tuesday night, we stumbled upon these Mavs branded billiards and poker tables, buried in a hidden nook. The leg press is just out of shot to the left. Get a lift, take a shot. Not bad! 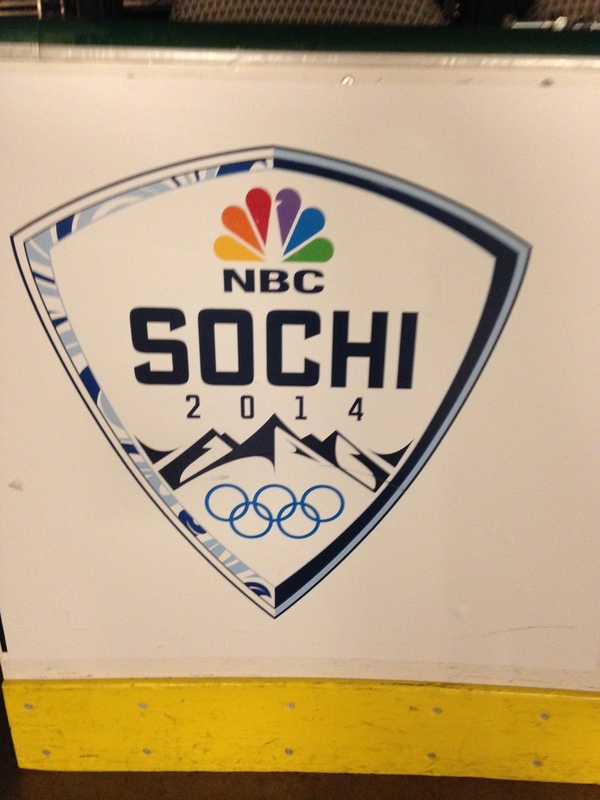 Above left, an instant-vintage tangible piece of NBC x NHL activation for the Sochi Winter Games. Above right, the most iconic trophy in the world, Lord Stanley's Cup, Dallas Stars edition (circa 1999). Many thanks to the National Sports Forum, the Cowboys, Rangers, Stars and Mavs for opening your doors to us this year. We are already looking forward to next year in Cincinnati!